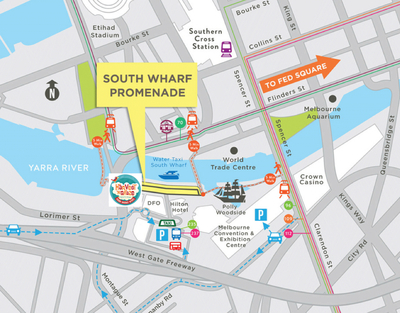 Melbourne's South Wharf Promenade is set to be inundated with good food, music, and family fun as the Harvest'n'Graze Festival rolls into town this weekend. The best of Victoria's regional and artisan food producers will be showcasing their wares. For the kids, The Dreaming Space will be providing the entertainment, as well as the obligatory jumping castle and face painting. Guy Pearce is taking a Hollywood hiatus and will be head-lining the musical entertainment (yes that's right he sings too!) alongside Stella Angelico, Canyon and a host of other local musicians and DJs.